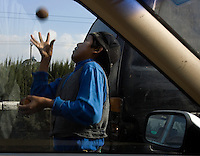 Over 10,000 children and young adults spend protracted lives on the streets of Guatemala. Text to accompany images (approx. 900 words) is available in English and Spanish.